Source: Wet plate glass negative by Timothy H. O'Sullivan. May 1864. 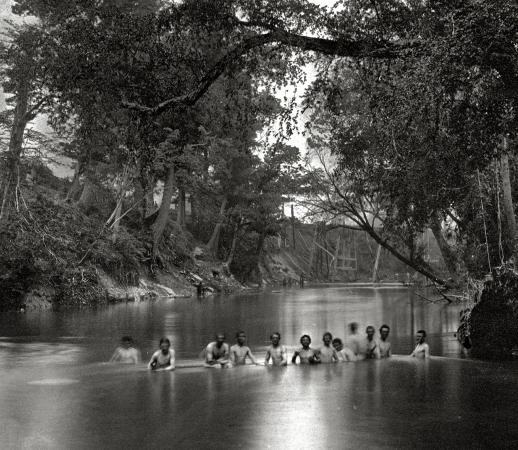 North Anna River, Va. "Soldiers bathing. Ruins of Richmond & Fredericksburg railroad bridge in the distance."